← Come join us at our next Garden Club Meeting! Painted lady butterflies have been fluttering all around us for several days. Farmers, though, started noticing the butterflies about a month ago. Painted ladies often lay their eggs in soybeans. When those eggs become caterpillars, they feed on soybean foliage. Farmers refer to them as thistle caterpillars, because they prefer to eat thistle-type crops. 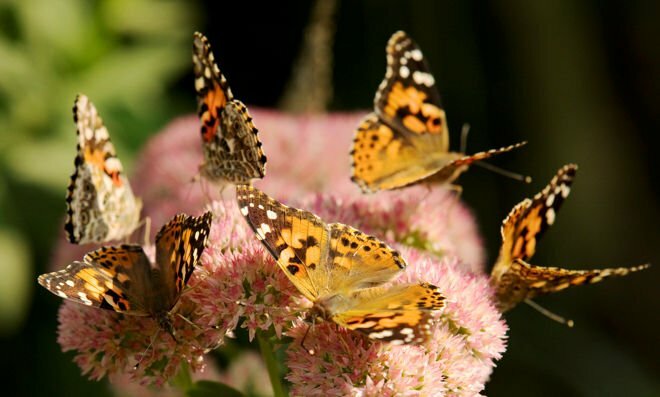 Enjoy the painted ladies while you can. This entry was posted in Garden, Polllinators. Bookmark the permalink.